If you’re not familiar with the Corpse Talk format by now, here’s a brief introduction. Cartoonified Adam Murphy digs up the bodies of notable, and sometimes obscure, historical figures and then proceeds to interview them about their life’s achievements in the manner of a chat show. Common assumptions are often overturned, fascinating details revealed and much hilarity abounds. All great, nothing bad. 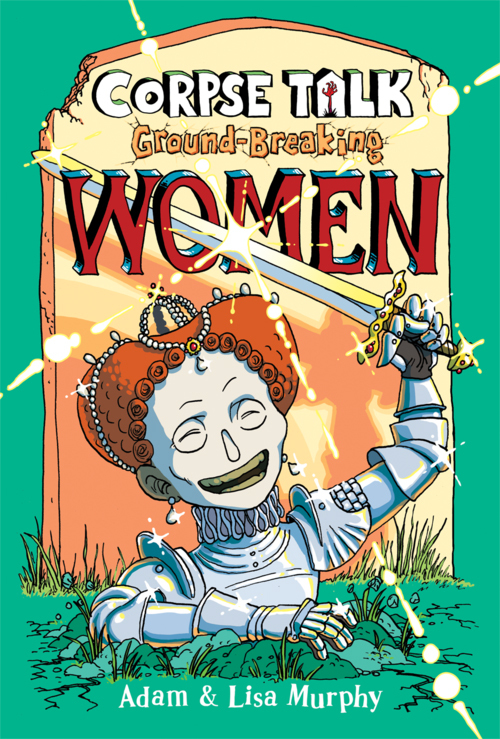 This latest volume focuses entirely on women, from the mighty presence of Queen Elizabeth I to the utterly strange tale of Princess Caraboo, covering all walks of life and accomplishments. The book opens with Hatshepsut, the earliest known female ruler of Egypt, and yet despite this we no very little about her, and the reason why is laid bare across the pages (worth reading for this snippet alone). 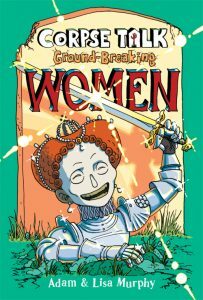 There’s also the savage swordswoman Julie D’Aubigney, Ching Shih the pirate queen and Nellie Bly, an investigative journalist who pioneered the profession for women. Nearly all of the interviews share a common thread of women having to stand their ground to be accepted for what they were aspired to be, and often those decisions changed preconceived ideas, attitudes and understandings. But equally there are some real tragedies here, unjust and unfair scenarios and genuine hardship, but the fact we can read about them, understand them and remember them then something good has come from it all. Adam and Lisa Murphy’s skill here is to find the not so obvious nuggets of interest buried alongside the bodies of the deceased, so you may feel you know someone from history but chances are you weren’t aware of what the topic of the interview will be about. And when that topic strays into a major discovery or significant historical moment, there follows a bonus spread that explores and expands upon that detail to further enrich your understanding. And it’s all lovingly done, without condescending tone or dumbing down, but in an articulate and humorous manner. You genuinely can be any age to enjoy this. Packed full of interesting facts and new discoveries for the reader this is a thoroughly entertaining and informative book. Here’s hoping they dig up another one soon.